Welsh Government body WRAP Cymru has published its new report Towards a Route Map for Plastic Recycling: Creating Circularity for Plastics in Wales outlining the plastic route map for the country for 2025. While Wales is third best in the world for household recycling, WRAP Cymru said that the country is facing significant problems concerning manufacturing, use and the disposal of plastics. This report is the first stage to improving the circularity of plastics in Wales, and highlights that the plastics value chain must work together to ensure that products and packaging on the market are recyclable, ready to recover and reprocess and should include a high recycled material percentage. Around 61% of collected plastic waste is recycled outside of Wales. From this, Wrap Cymru has outlined its recommendations on how Wales should become better at dealing with plastic waste. The report highlights the themes of reprocessing, collection, and the creation of a circular economy. Supporting and encouraging the development of new business opportunities, innovation and technologies in the plastics value chain, supported through the Welsh Government Circular Economy Fund. 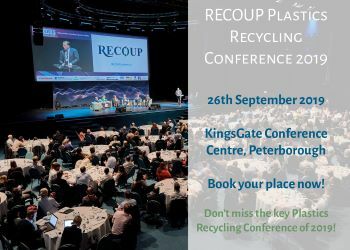 The Route Map will be published in autumn of 2018 and will focus on identifying the opportunities and barriers on markets for recycled plastics in Wales and will propose actions that can be taken by industry and Government to increase the circularity of plastics.